Islamabad United started PSL4 where they left off as they defeated Lahore Qalandars in the first match of Pakistan Super League’s (PSL) fourth edition. The Qalandars will once again have to go back to the drawing board to iron out imperfections from a performance they would be partly happy with. Let’s take a look at some of the talking points from an entertaining first match of PSL4. After new skipper Muhammad Sami had put Qalandars in to bat first, the Islamabad outfit would be disappointed by their inability to stop runs and take wickets at the start of the innings, as openers Fakhar Zaman and Sohail Akhtar batted for an impressive 97-run stand. 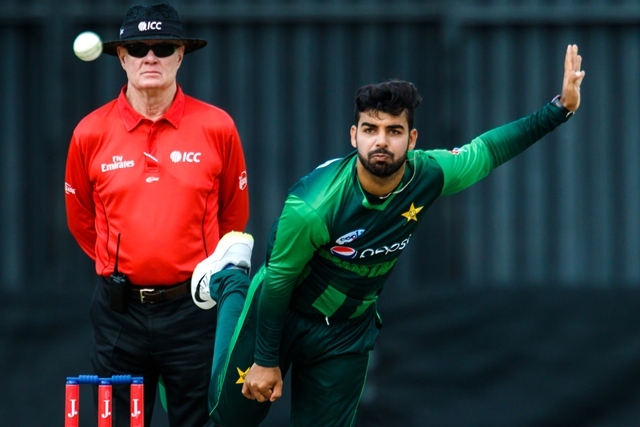 Sami and spinner Samit Patel proved to be costly with the new ball and later Shadab Khan and Waqas also leaked runs. It wasn’t until the 11th over when man-of-the-match Faheem Ashraf dismissed Akhtar that United came back into the game. Of the seven players that took the pitch in United’s chase, six managed to reach double figures, while only four out of nine Lahore batsmen did so. This proved to be the difference between the two teams at the end. Even when star batsman Luke Ronchi failed to register a big score, Hussain Talat and Asif Ali stepped up to the plate to take their team home. Asif Ali once again showed he has the talent to score crucial runs at important stages of the game. His match-winning partnership with Faheem Ashraf took United home after a 55-run stand between Hussain Talat and Cameron Delport had come to a quick end with both batsmen being dismissed in quick succession. The firepower of Ashraf and Ali, among others, makes this batting unit arguably the strongest in this year’s competition. If there’s one positive the Lahore outfit can take from this loss, then it should be how the top-order fared. Lahore’s not-too-shabby total of 171 was mainly due to the opening partnership between Fakhar Zaman and Sohail Akhtar, as Zaman scored a half-century before getting dismissed for the game’s highest individual score of 64 off 44 balls and Akhtar contributed with 37 runs. When star turn AB de Villiers was dismissed in the 16th over, Lahore seemed well on course to challenge the 200-run mark with the score at 137 and wickets in hand. But Lahore only managed to add 40 runs in the last six overs — a cardinal sin in this format of the game. After de Villiers, the team only managed to hit a single six, and that too came from the bat of spinner Yasir Shah in the final over. The lack of big hitters at the death can haunt Qalandars for the rest for the tournament. Lahore bowlers managed to dismiss five of United’s batsmen and of those five, four wickets were picked by lanky pacer Rahat Ali. Compare that to United who managed to pick up eight wickets distributed among five different bowlers and you see how much Lahore will be relying on certain players to deliver the goods. Star sensation Shaheen Shah Afridi, who many consider to be the leader of Lahore’s bowling attack, ended up with figures of 0-45, at an economy of 11.25. Luckily for Lahore though, things can only get better from here on in for them and their pace spearhead.